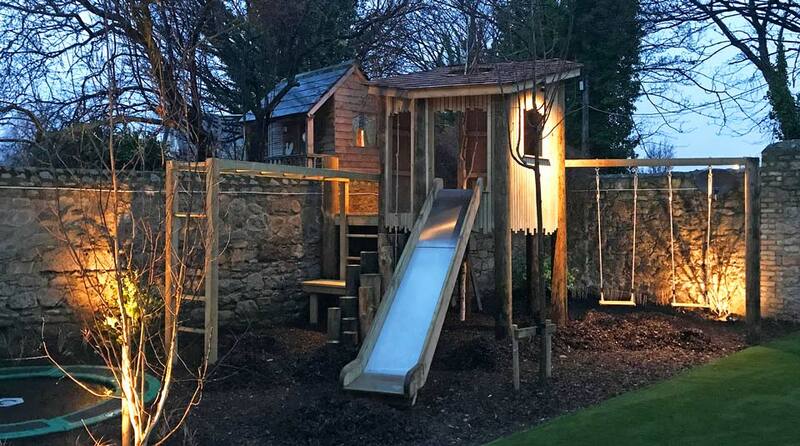 There’s more than a hint of Peter Pan about this play tower and planting. 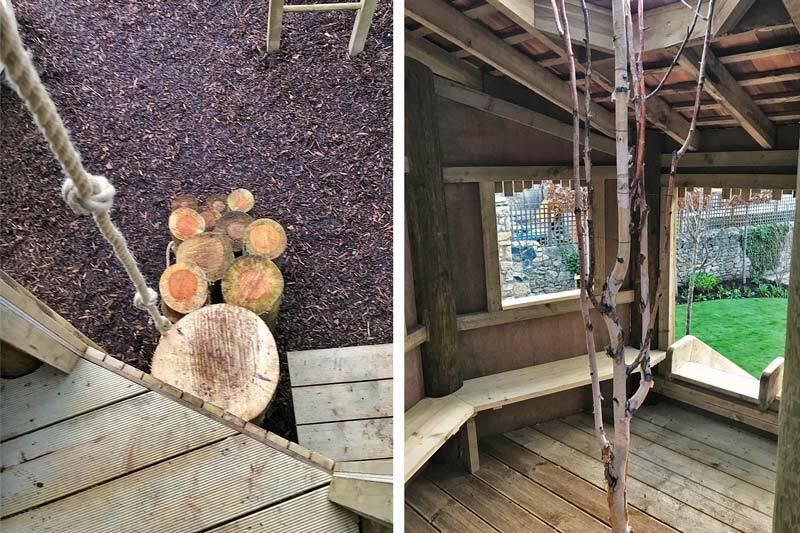 The pared back interior with heavy pole structure and cedar shingle roof, built around an existing silver birch, give a real feel of organic treehouse atmosphere to the tower. 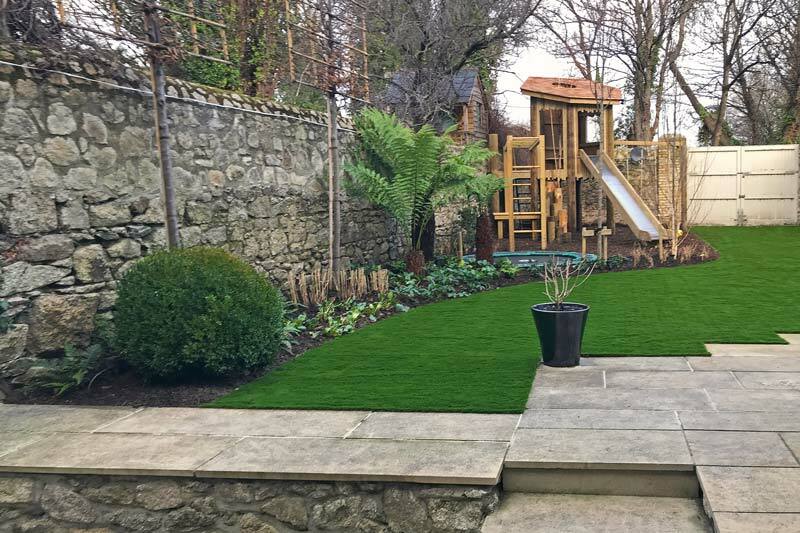 All the play structures, including slide, swings, monkey bars and trampoline are nestled in lush planting to blend into the design and add to the sense of the exotic and of mystery. 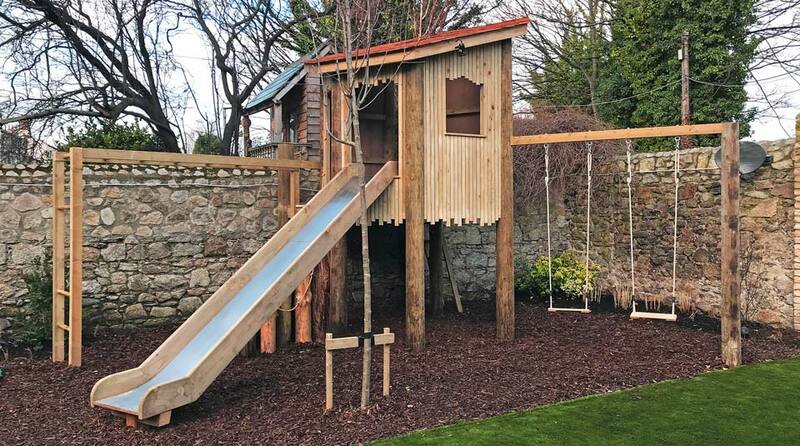 The play tower is accessed on 2 sides, a stepped log access and a set of wooden monkey bars to the front and a timber ladder to the rear. 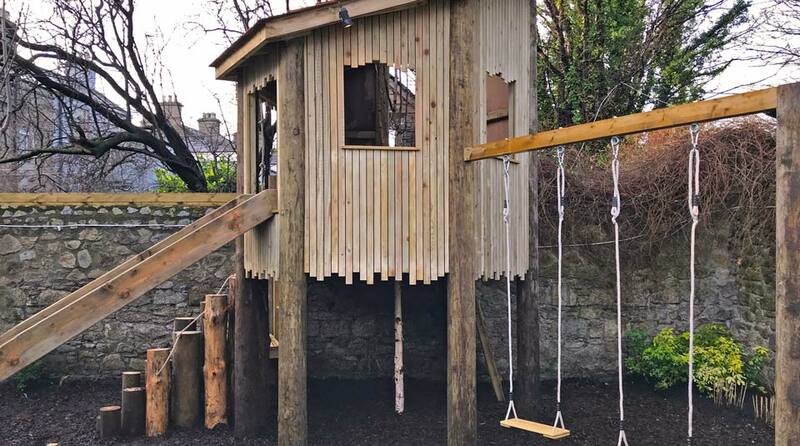 The 2 sided access makes for a fun loop but also provides numerous options for a range of ages to access the treehouse. 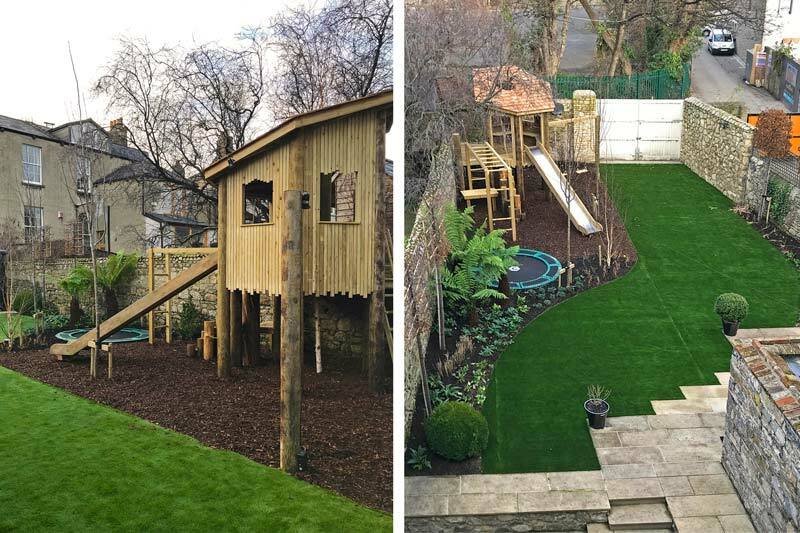 It is important to keep a balance of play structure to open space within a play garden design. 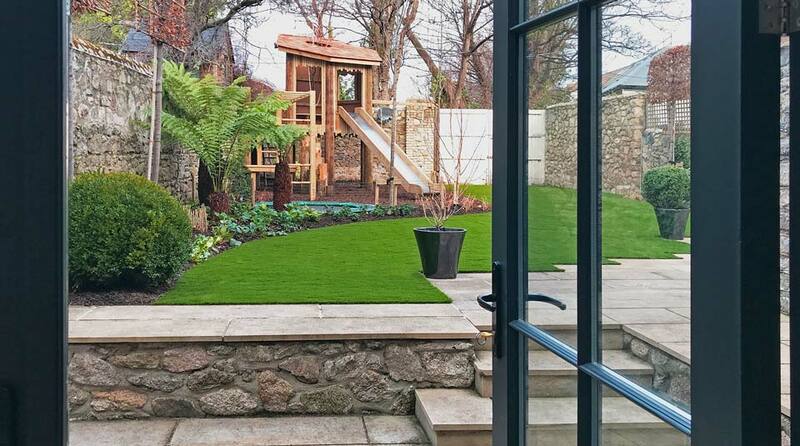 The footprint of the play equipment lends itself to a gently curved astro turf lawn. The scale of the treehouse works well with the birch and other existing trees.